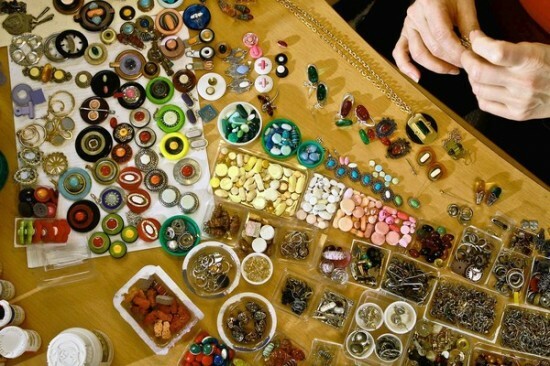 Susan Braig, a 61-year-old cancer survivor from Altadena, California, began making jewelry from medication as a form of therapy, but now sells her creations to pay her medical bills. Susan was diagnosed with breast cancer and started chemotherapy in 2004. She remembers she bought her first round of medicine our of her own pocket; it cost her $500 and looking at the little pills she got for that much money, it made her wonder if they were little gems. But the idea of actually using medication as jewelry came to Susan Braig in 2007, when she participated in a medical-themed art exhibition organized by the NewTown Pasadena Foundation. She decided to create a mock Tiffany & Co. jewelry advertisement for the exhibition, using different kinds of pills as diamonds, rubies and emeralds, but she eventually ended up making a princess’ tiara encrusted with her leftover cancer pills, as well as several other pieces. They were a hit, and many show-goers told Susan she should open her own jewelry line. Now, seven years after starting her treatment, Susan Braig is cancer-free and running her own jewelry line, called designer Drug Jewelry. 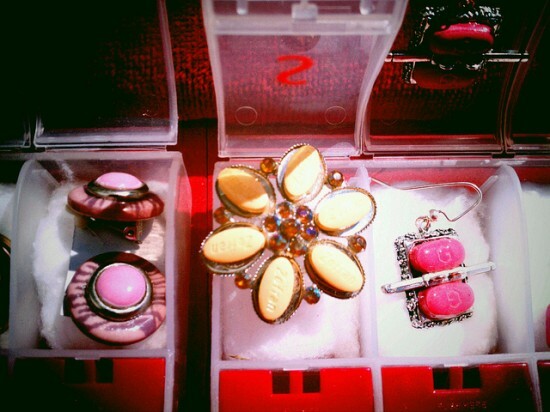 Friends and fellow cancer survivors donate their own old and leftover medicine, and she uses them to create colorful accessories priced between $15 and $150. She sells them at craft shows, where she wears a white medical robe, and is considering distributing them to hospital gift shops. The pills used for the over 500 pieces she designed so far are coated with a sealant and glued to the costume jewelry, to make them “non-abusable” as she says. 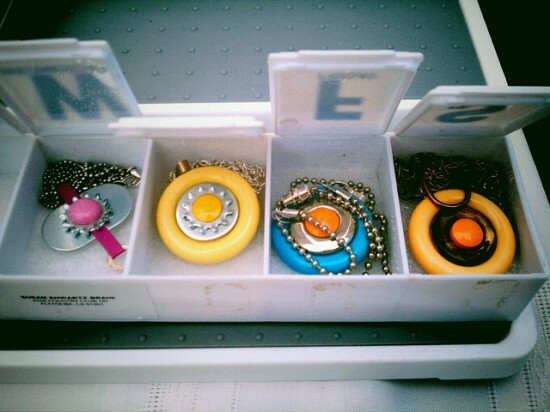 The jewels come in an ordinary pill bottle, wrapped in a ribbon and placed in small bags made from surgical face masks. 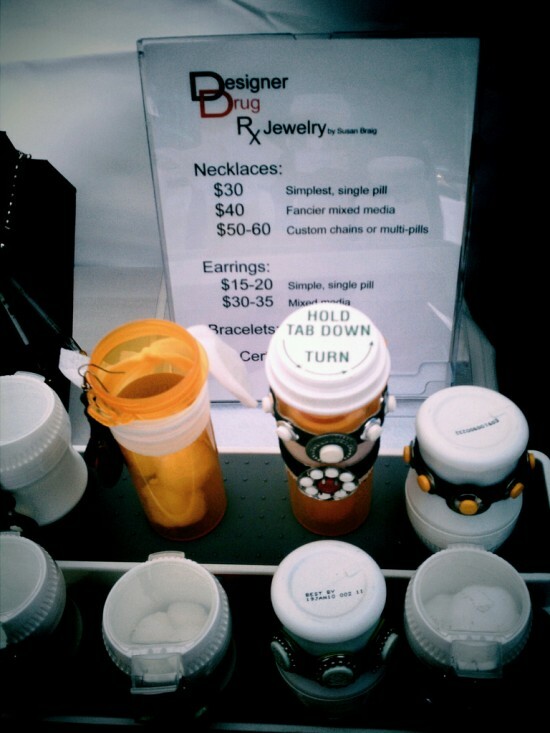 Unfortunately, all the profits from selling her Designer Drug Jewelry pieces go to paying off her medical bills. During the time she was battling cancer, Susan Braig was underinsured, and her private insurance didn’t kick in until she paid a yearly $1,000 fee, and $2,500 in co-pays. Worse yet, it didn’t cover the outpatient care, which is what most of her long treatment was. Last month, she lost her private insurance completely, and is now struggling to pay her heavy medical debt by selling her unique fashion accessories.